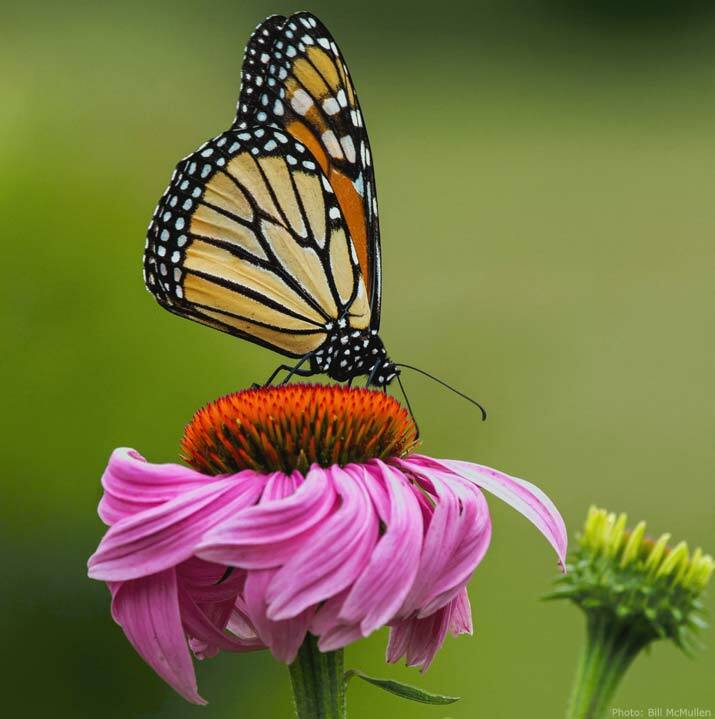 Every year, the monarch butterfly makes a gruelling 4,000 kilometre migratory trek to its wintering grounds and back. That’s like completing 95 marathons! Besides sheer exhaustion, these majestic butterflies are struggling to find a place to land when they reach Mexico (as their habitat is being robbed by deforestation). And in Canada and the United States? Agriculture and citizens spray their crops and gardens with pesticides and herbicides – killing off their primary food source – the milkweed. The fact of the matter is, the monarch could use a little help. This guide gives detailed advice to landowners on establishing larger sites of prairie and meadow, which both provide excellent habitat for pollinators. The guide was developed in 2000 by experts including the Rural Lambton Stewardship Network and Tallgrass Ontario, and most of its content still reflects current best practice. The guide covers site planning, developing a species list, site preparation, obtaining seeds and plants, planting, and maintenance. There is also a list of native grass and wildflower species appropriate to many counties of southern Ontario. Canada can do more to help the monarch, says the Canadian Wildlife Federation's Carolyn Callaghan. The forest area in Mexico occupied by overwintering Monarchs has been assessed and the 2019 numbers are very promising, giving a reprieve to a beleaguered population. All along the California coast in fall and winter, there are places you can visit where colonies of adult Monarch butterflies overwinter. How can one change make a difference for this delicate butterfly? Read on to find out.